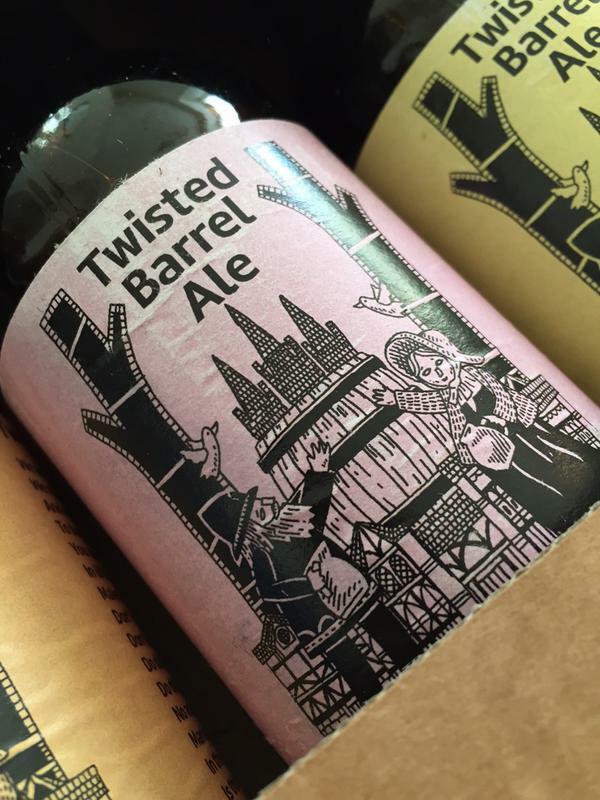 The mural on the wall is on the outside of the brewery Twisted Barrel Ale. It's a new brewery which has just opened up in Coventry. 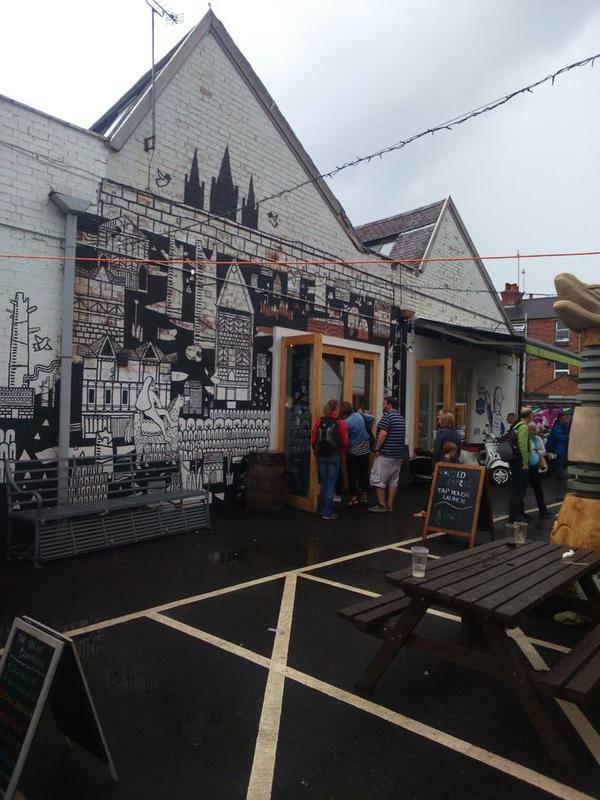 The imagery on the wall was drawn from an open brief- they wanted a representation of Coventry. Stewart chose to use the story of Lady Godiva and Peeping Tom to depict for the wall painting. Prior to the bombing during the blitz, Coventry was a real pretty city with a vast amount of Tudor buildings. After the war the council pulled what was left down with a view of rebuilding it and making it a modern town - but it was never finished. As a reference to this Stewart have drawn lots of tudor style buildings based on the remaining ones in Coventry. The labels design was once again an open brief, though Stewart needed to have connections with Coventry. On the label design you will see the Tudor buildings, Coventry's three spires, doves (as a reference to Coventry being a city of peace and reconciliation). I drew a lad and a lass in celebration of the tag line 'more folk than punk' from the brewery. For more of Stewart's lovely work please go to the Artist Partners website.